OLD PARKED CARS. 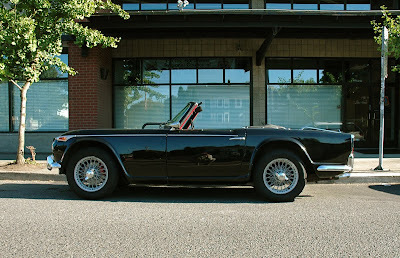 : 1967 Triumph TR4A IRS. I have a neighbor with a Datsun 2000 (or 1800?) Roadster. First time I saw it, I thought it was a TR4. They look nearly identical. 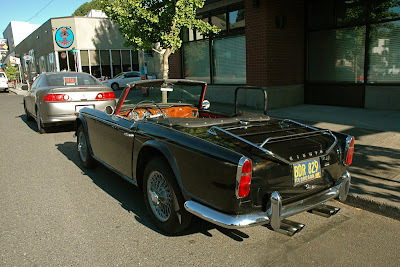 I tried to see the similarities, but to me the Datsun looks a lot smaller and simpler. Where this looks muscular and chiseled. 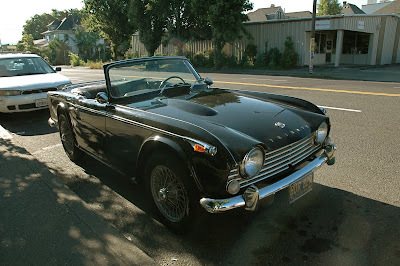 I think I'd feel a lot more comfortable in a Datsun Fairlady, seems like the most affordable and reliable classic convertible out there. I do plan on owning one some day when I have space. Maybe getting that collector insurance that costs $9 a year or something, heck yeah that plan keeps sounding better.